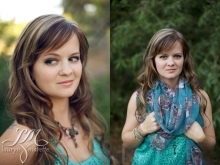 I am constantly amazed that I get to do what I do, because I get to photograph the sweetest people! Courtney, Jeff, and Britton were so awesome. Little Britton stole the spotlight though, she was even telling everyone else where to stand and how to pose! I had the pleasure of photographing the super sweet Warren family last week. They are such a happy and loving family, I had an amazing time with them. Talitha moved in next door at our previous home, and is such a sweetheart. She started dating Ryan not too long after we met. They are getting married next year, and I couldn't be happier for them. They are absolutely perfect for each other. Congratulations Talitha and Ryan! I had an absolute blast photographing the Palmer Family. Little Jacob and Brandon are so adorable, and had so much fun in the leaves!